Beautiful Fulani Inspired Braids and hairstyles. 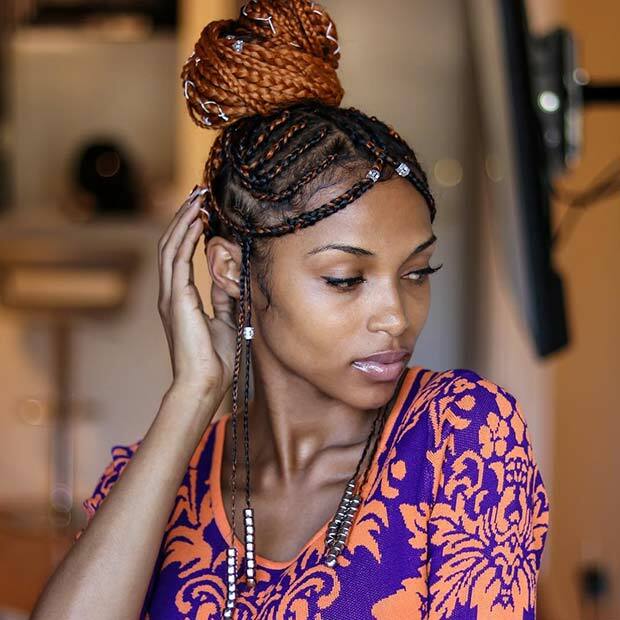 HomehairstyleBeautiful Fulani Inspired Braids and hairstyles. 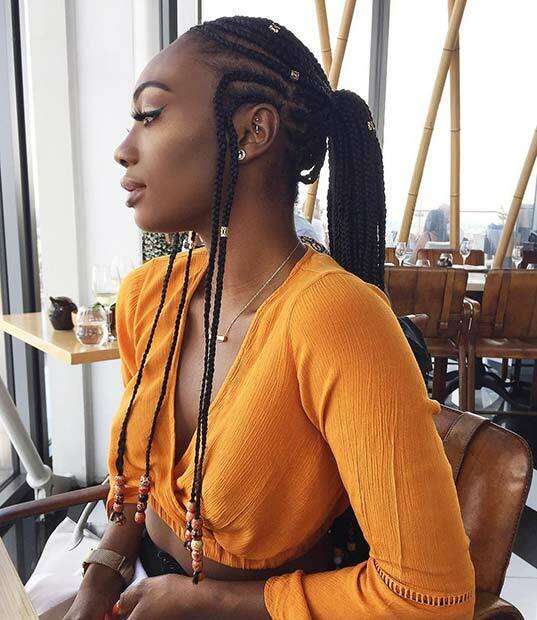 One of the must-have hairstyles Ladies should try out this halve of the year 2018 are the Fulani braids. Fulani braids have been in and out of the style spotlight for years and were famously worn by Alicia Keys. These beautiful braids are back and are hotter than ever. We love this look and have found some few Fulani braids for you try this summer. There is a trendy style for everyone and we highly recommend it for every lady of style. During the summer, when it's hot, you can keep cool with double braids like these. Double braids are such an up-to-date update on Fulani braids. This look has been complemented with a braided ring, but you can add some gold bracelets. A hairstyle like this below is an elegant option for this time of the year. You can recreate the look with different beads so that the hairstyle will look unique. This next hairstyle looks natural and beautiful. The front of the hair has been braided in a Fulani style and the rest has been tied. This is a nice hair idea that is perfect for summer. You can make the braids adapt to your style by adding your favorite accounts. The braids make a funky pattern on the top of the head and there is also a braided gold ring. We love this simple but elegant hairstyle. You could recreate a similar appearance or have shorter braids, you could even add some braided cuffs too. The braided buns are fashionable and look beautiful for everyone. Our next idea features beautiful Fulani braids that have been designed with beads and in a bun. This look was created with Rast Afri Orginal Classic Braided Jumbo in Amber. Our next hairstyle features an impressive braided ponytail. This braided ponytail has braids inspired by Fulani, wooden beads and gold accessories. The ponytail was created with Xpression braided hair in color 1B.